Carte-de-visite of Logan Temple. Logan, Utah. Back labeled "Cardon Art Gallery. Logan, Utah. Ace V. Stebischer, artists. Photographs of all kinds Enlarged to any size required. Copies of this Portrait may be had on application." 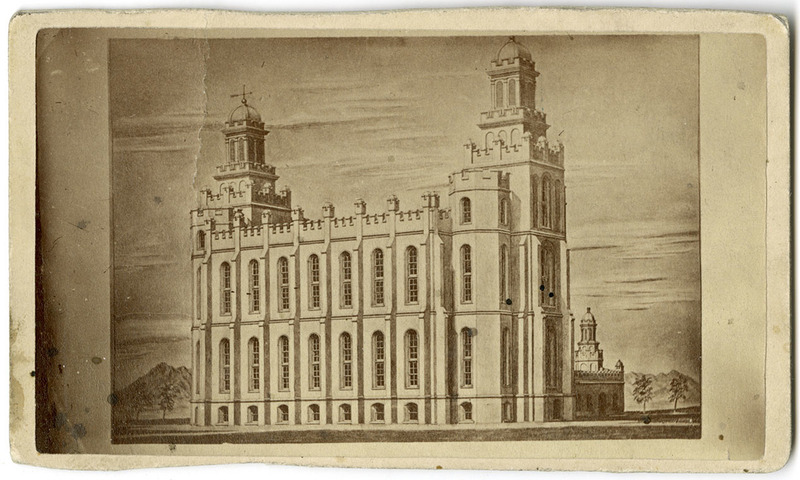 Ace V. Stebischer, “Carte-de-visite of Logan Temple,” USU Digital Exhibits, accessed April 20, 2019, http://exhibits.lib.usu.edu/items/show/19697.